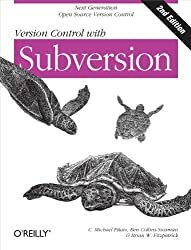 Use this tag for questions about SVN (Subversion), a centralized open-source revision control system distributed under the Apache License. Git didn’t beat SVN, GitHub did. For a little under a decade Git and SVN competed for market share in a fashion reminiscent of browser wars. As recently as 2010, there are forum discussions that perhaps Git and SVN were not competitive — that the two were best in class products of two different breeds (distributed and centralized version control), and that companies would likely support both. It’s clear that Git won hearts and minds. But why?